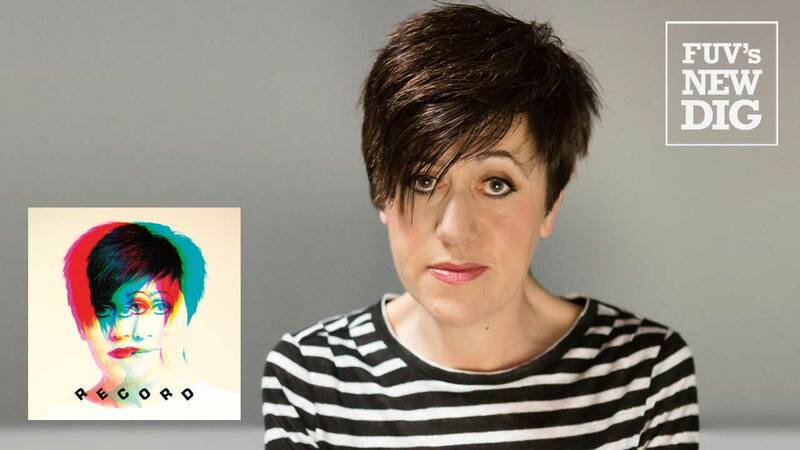 Teenage girls of all ages—the ones in the thick of an adolescent maelstrom, and those decades past it, but still bearing scars— saunter through Tracey Thorn’s remarkable new album, Record. It's the north Londoner's fifth solo release and her first collection of all-original songs since 2010's Love and Its Opposite, a reckoning of middle-aged relationships and the unpredictable traffic jams of adulthood. Here, on Record's manifesto of women's voices (and guitars) dismantling the patriarchy, Thorn's measured alto has never sounded more commanding: it's a queen bee marvel, all honey and stings. Twenty-two years later, those youthful triumphs and fights are refracted through a very different prism on Record, encompassing #MeToo, Women's Marches, post-modern feminism, and global sociopolitical disarray. The rueful teen of "Mirrorball" is revived, ever headstrong, in the gorgeous "Air," a cloud-like confection of squelchy synths, Thorn's panther purr, and sweetly exclamatory backing vocals from Manchester pop singer Shura. Thorn soothes, incites, and adroitly disables her foes and fears, line by line. A poignant flashback, "Guitar," redefines the collapse of an unrequited crush as a young girl with a guitar realizes that the song she's written in heartbreak is more valuable than the elusive boy who broke that heart. "And though we kissed and kissed and kissed," muses Thorn, "You were nothing but a catalyst." Another disco ball spins overhead in the darkly urgent "Dancefloor," a burbling Daft Punk rush of Seventies reminiscence and beats, fueled by Bowie, Chic, and too many drinks. A metronome-paced time travel to a discarded past comes via "Face," and the furtive social media search to catch up on ghostly exes, while Thorn mourns a London broken by Brexit and Tory rhetoric in the demoralized "Smoke." Faint echoes of Walking Wounded might eddy around Record, but their resurrection is more the evolution of a narrative that Thorn has explored lyrically throughout her career, from the Marine Girls to EBTG and now, for the past eleven years, as a solo artist working with producer Ewan Pearson who again collaborates with her here (the album was recorded in Thorn's home studio.) The video for "Queen," the eminently danceable single that sets Record's pace, slyly revives Walking Wounded's album cover featuring Watt and Thorn, her face obscured by a compact, seated together in the back of a car. Now, it's an older and solitary Thorn in "Queen," her visage no longer hidden, in the "backseat of a blacked-out car" considering those "sliding doors" of youthful decisions and alternate lives left unlived. There's real freedom in Thorn's 50-something epiphany that giving no effs is absolutely necessary in the current climate. The centerpiece of Record, the stately, eight-minute-plus lope of "Sister," which features Corinne Bailey Rae as a wailing Greek chorus, is Thorn's visceral reaction to her experience at London's Women's March in 2017. She shapes "Sister," a swirl of piano and percussion, as both universal and deeply personal; it's her "fight like a girl" rebuke to a world ruptured by misogyny, but it's also a song of intense grief. Mothers are missed, daughers turn inward for maternal comfort, and then reach out, dazzled by a sea of women united in resistance. Plus there's nothing quite like a peeved Thorn spitting out a profanity with such venomous relish as she does here: "Oh what year is it/Still arguing the same sh*t/What year is it/Same, same sh*t."
Thorn and Pearson have assembled a superwoman (and superman) squad as the band for Record: in addition to Thorn on piano and electric guitar and Pearson on synths and programming, guests include an inspired choice of Warpaint's rhythm section of Stella Mozgawa and Jenny Lee Lindberg, Jagwar Ma's Jono Ma on guitar (whose impact is nicely felt in "Dancefloor"), session drummer stalwart Martin Ditcham, and violinist Clare Wheeler. A very funny, self-described "bedsit disco queen" who loves to garden (as she once discussed with FUV), tweets about the telly, raises her university-age twin daughters and teenage son, and writes newspaper columns and books—she most recently published Naked at the Albert Hall in 2016—Thorn has also never shied from speaking out about how it feels to be a woman in the music industry, bound by its fortresses of boys clubs. On Record, it's that Tracey who is speaking louder: her pellucid, punk-nurtured, acerbic sociopolitical perspective migrates from mostly observational to a genuine battle cry. Glowing beneath glittering disco lights, awash in a cascade of beats, Thorn's just-in-time return, Record, is nine luminous songs of feminist might and magnificence.